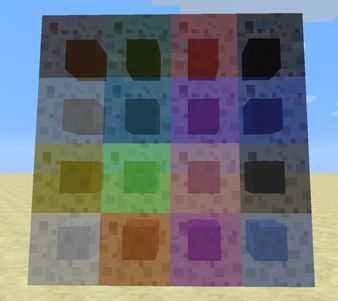 Slime Blocks can be dyed in any of the 16 different colors, just like Wool. 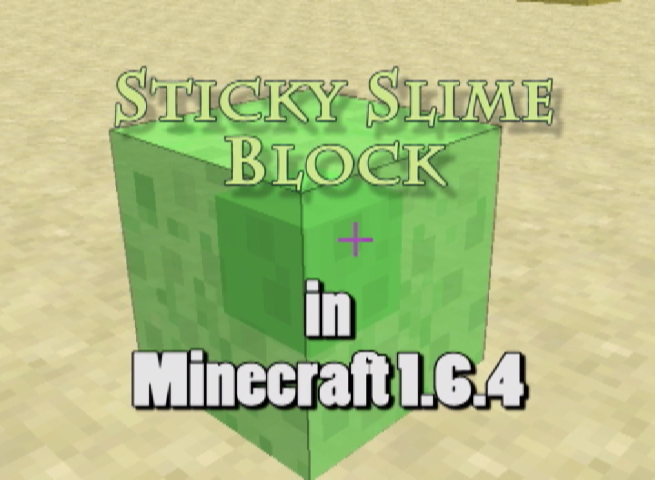 Though Slime Blocks can stick with surrounding blocks, they don't stick with each other if they have different colors. 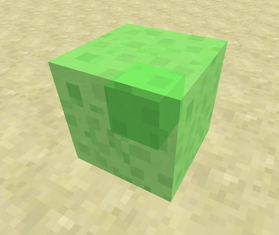 While Slime Blocks can stick with blocks when pushed to any directions, Magma Cream Blocks can only stick with blocks with pushed to 1 direction. 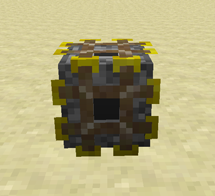 It should be very useful when making conveyor belts to move blocks with the help of pistons. Due to technical reason, you have to use these specially made pistons in order to have the effect of Slime Blocks and Magma Cream Blocks. Otherwise, they won't stick with blocks and won't bounce entities. Ever think of a mobile piston that not just pushes blocks in front of it, but also follows behind the blocks? Now you have this little block! This is currently work in progress. I will add more special Pushers later.